Below you fill find all funeral homes and cemeteries in or near Robbinsdale. Suburbs of Robbinsdale: Crystal, Golden Valley. 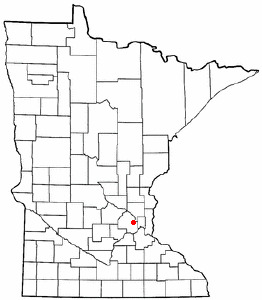 Robbinsdale is also known as: Hennepin County / Robbinsdale city. Their current mayor is Mayor Regan Murphy. Zip codes in the city: 55422. Since 1926, Gearty-Delmore has earned a reputation of integrity. Through the years, Gearty-Delmore has grown from one location in Robbinsdale to include chapels in St. Louis Park and Plymouth, MN. Some of the notable people born here have been: Dean Peters (wrestler), Tom Zenk (wrestler), Curt Hennig (wrestler and actor), Alec Richards (ice hockey player), Tom Copa (basketball player), and Brittany Petros (actor and film producer). It was revealed by Napa Valley Register on August 17th, 2018 that Kirk Anthony "Hollywood" Griess died in Fairfield, California. Griess was 46 years old and was born in Robbinsdale, MN. Send flowers to express your sympathy and honor Kirk Anthony "Hollywood"'s life. It was revealed by San Diego Union-Tribune on August 11th, 2018 that Aquinas Walter Richard Sipe passed on in San Diego, California. Sipe was 85 years old and was born in Robbinsdale, MN. Send flowers to express your sympathy and honor Aquinas Walter Richard's life. It was written on April 6th, 2018 that Joyce Lorraine Thurlo passed on in Robbinsdale, Minnesota. Thurlo was 88 years old. Send flowers to express your sorrow and honor Joyce Lorraine's life. It was noted on February 18th, 2018 that Ronald Edward Waak passed away in Robbinsdale, Minnesota. Waak was 76 years old. Send flowers to share your condolences and honor Ronald Edward's life. It was noted by Des Moines Register on February 15th, 2018 that Kathleen Alice Scharnberg (Walters) passed on in Iowa. Ms. Scharnberg was 66 years old and was born in Robbinsdale, MN. Send flowers to express your sorrow and honor Kathleen Alice's life. It was written on January 11th, 2018 that Virginia Ann Roman passed on in Robbinsdale, Minnesota. Roman was 86 years old and was born in Chicago, IL. Send flowers to express your sympathy and honor Virginia Ann's life. It was disclosed on September 13th, 2017 that Barbara B Johnson passed away in Robbinsdale, Minnesota. Johnson was 85 years old. Send flowers to share your condolences and honor Barbara B's life. It was reported on March 22nd, 2017 that Edward J Roman passed on in Robbinsdale, Minnesota. Roman was 86 years old and was born in Chicago, IL. Send flowers to express your sympathy and honor Edward J's life. It was written by Eau Claire Leader-Telegram on September 23rd, 2016 that Allen E "Big Al" Keding died in Independence, Wisconsin. Keding was 56 years old and was born in Robbinsdale, MN. Send flowers to express your sympathy and honor Allen E "Big Al"'s life. It was noted on July 28th, 2016 that Wilma Anderson passed on in Robbinsdale, Minnesota. Anderson was 98 years old. Send flowers to express your sorrow and honor Wilma's life. The official website for the city of Robbinsdale is http://www.robbinsdalemn.com/. Topps, 61, of Robbinsdale, died Tuesday at North Memorial Medical Center ... while attending Minneapolis Community College and incorporated it at the University of Minnesota-Morris, where he headed the black student union before graduating. Topps, 61, of Robbinsdale, died at North Memorial Medical Center after ... while attending Minneapolis Community College and incorporated it at the University of Minnesota-Morris, where he headed the black student union before graduating. Listing all funeral homes in Robbinsdale, Minnesota so you can easily send flowers to any location (same day delivery) or find any funeral service. Gearty Delmore Funeral Chapels, Robbinsdale, MN : Reviews and maps - Yahoo! Local, 763.537.4511. Get Ratings, Reviews, Photos and more on Yahoo! Local. Find a map, directions and more for Gearty-Delmore Funeral Chapels, Inc. in Robbinsdale, MN. We work with local florists and flower shops to offer same day delivery. You will find budget sympathy flowers in Robbinsdale here. Our funeral flowers are cheap in price but not in value.